M.A.E.I.A. | Kmotion Design Inc. 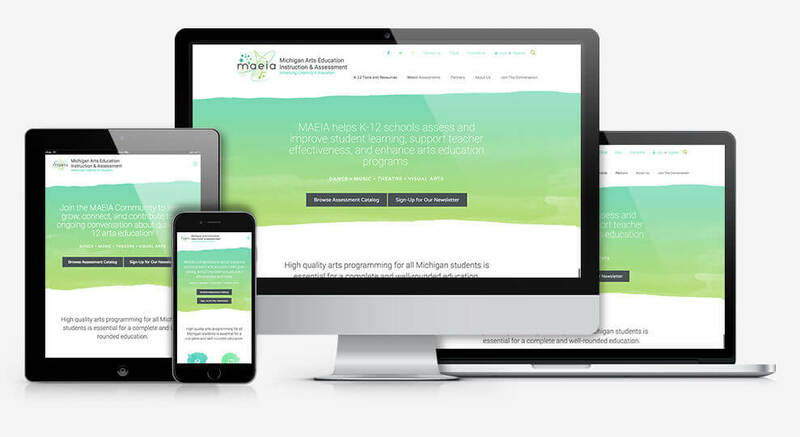 The MAEIA Project has been developed by the Michigan Assessment Consortium (MAC) and Data Recognition Corporation (DRC) for the Michigan Department of Education (MDE) in partnership with Michigan educators. MAEIA resources and tools help districts and schools strengthen their systems and advance arts as a core element of a public education. The MAEIA website features multiple useful tools for Art Education professionals to engage and enhance their teaching and assessment practices, including an informative blog, helpful videos, tons of resources, an active forum and MAEIA’s incredible Model Assessments. "Synergy, Creativity and Dedication are three of the words I would use to describe our website development experience with Kmotion Design. Katie, Jess and the Kmotion team were our partners from the beginning. There is nothing cookie cutter about our site. 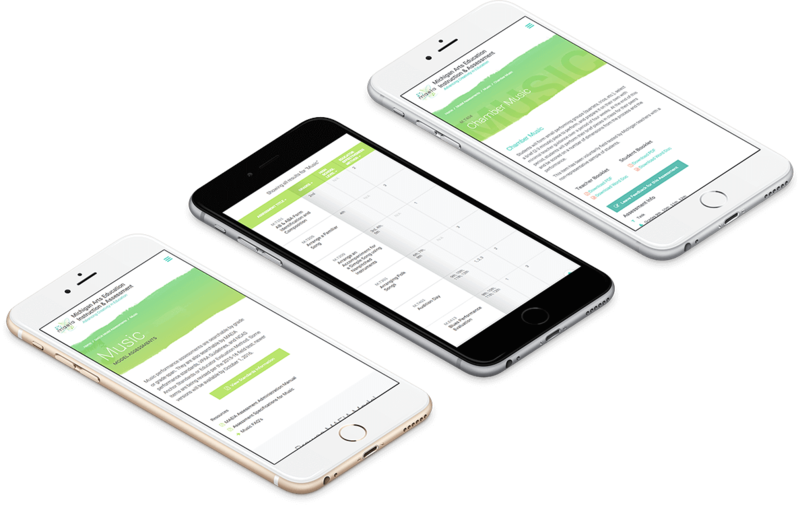 They listened to what our vision was, with special attention to who would use the site and created a one-of-a-kind, beautiful, classy and functional website."